College move-in day. Oh, we were doing so well. Sophomore year move-in day went great last year. Then this year happened. I think we may have gotten cocky. We just got back from moving our daughter into her dorm for her junior year. She had to go up early because she is going to be an R.A. this year. We should be old pros at this by now, right? Maybe not because junior year move-in day did not go as planned. R.A. Training would take the full two weeks before the majority of students return to campus, and my daughter had to be ready to go by August 3rd. My husband had work obligations and couldn’t go as early as my daughter and I could, so we started off on our own. It takes pretty much all day to make that drive, eight hours of solid driving plus stops at our favorite places along the way to eat. 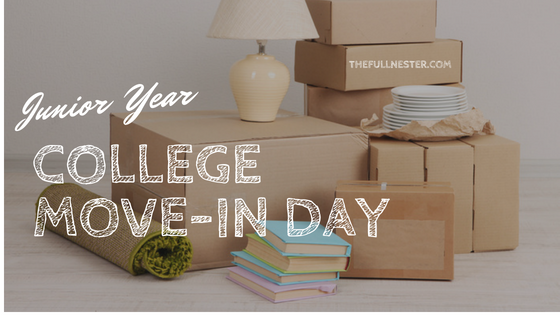 If you read my blog about freshman and sophomore year move-in days, you know we rented a storage unit in the town where my daughter’s university is located so that we didn’t have to bring home much of anything besides clothes for the summer. So the first thing we did was unload everything we had brought with us in the car to free it up to go get stuff from the storage unit. So far so good. Then we went over to the storage unit to fill up the car with a load of stuff to take back to the dorm. By way of a back story, my daughter had a roommate her freshman and sophomore year. It was the same girl both years and they had decided before freshman year who would bring what. Her roommate brought the refrigerator and microwave, while my daughter brought the TV, DVD player and vacuum. So when the school year ended last year, her roommate took the refrigerator and microwave with her, meaning we would need to purchase those items this year since my daughter would have her own room as an R.A.
We didn’t have room for and didn’t want to haul a refrigerator and microwave with us, so our plan was to buy them once we got into town. 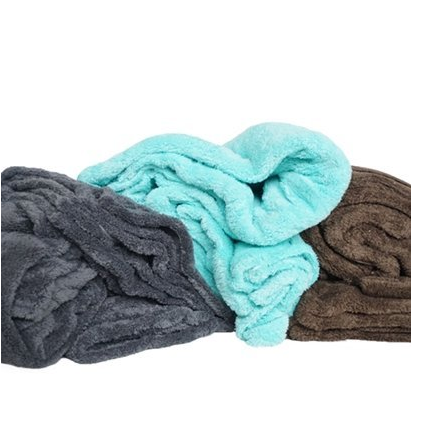 We had scoped out our choices at our local Walmart and Bed Bath and Beyond. 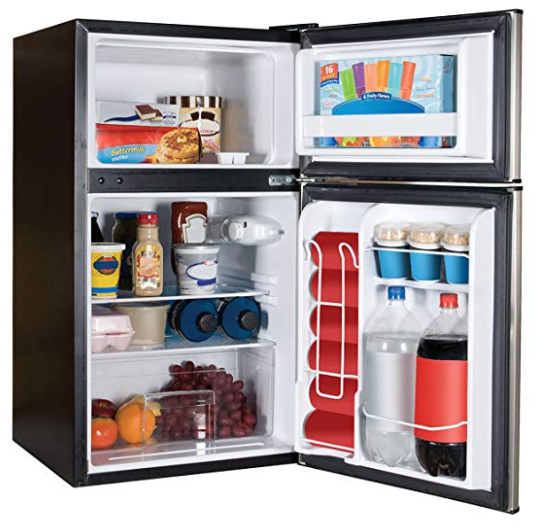 With many things at Bed Bath and Beyond you can purchase them online and then pick it up at the store location of your choice, but that was not the case with the refrigerator or microwave. So we picked the one we liked at Walmart and I checked the website for the store in my daughter’s college town and they had plenty of availability. We reasoned that since we were going up earlier than the majority of students we should take our chances on being able to buy what we needed once we got there. Once we got into town we went to Walmart to just confirm that they had the items in stock and they had plenty. While we were picking up our first round of stuff from the storage unit, I decided to check the website again just to make sure there was still availability. I freaked when I saw that the items were now showing a status of “Order now for Monday delivery.” That was five days from now. How did that happen?! I told my daughter we should put a couple of boxes back into the storage unit to leave room in the car because we needed to go see what was going on with the refrigerator sitch. If you haven’t eaten Blue Bell Ice Cream before you may not understand this stipulation but if you live in a state in Blue Bell Country then this situation needs no explanation. So we went straight to Walmart and the inventory on hand had diminished considerably. There was only one left of the kind that she wanted. A lot of students must have done some shopping in the time we had been there the night before and the next day. So we threw one in the cart and grabbed a microwave and put it all in the trunk to head back to the dorm. We got a two-door stainless refrigerator and a 700 watt microwave. Be sure to check the regulations for your dorm to make sure you follow the wattage guidelines for appliances. Be sure to wear a shirt from your hometown on move-in day. While my daughter was outside getting a box, a guy who is also a new R.A. in the same dorm saw her and recognized her shirt. Turns out he lives not far from us back home! He had a huge dolly and he and his dad proceeded to bring everything we had in the car up to her room all in one trip. Remember my husband wasn’t there yet so this was a HUGE help to us girls. So represent your hometown on move-in day. You never know when you might meet a helpful neighbor! 🙂 And now both my daughter and that sweet guy also have a new friend from home. 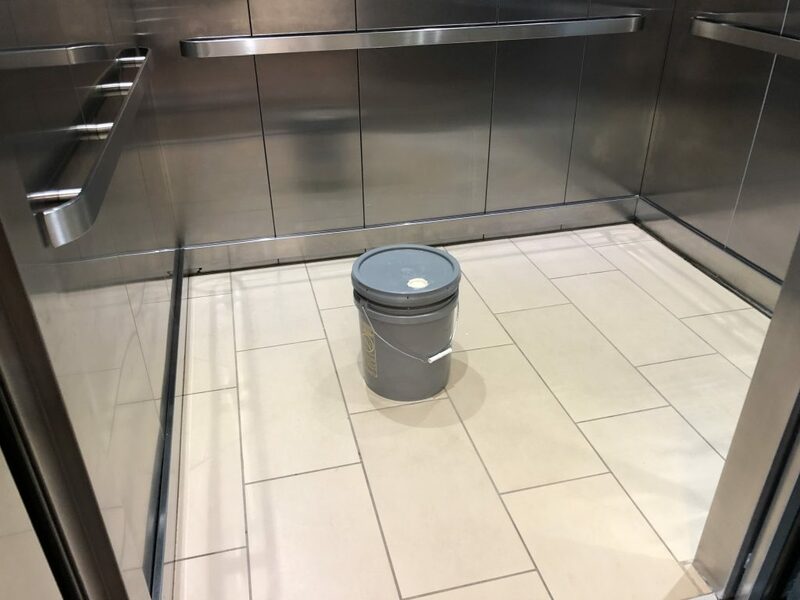 I’m sure the paint bucket was part of all the work we saw going on. We had not given a thought to how much work goes in to prepping the dorm for when students arrive. Moving in so early gave us a glimpse of that. There was a flurry of painting, cleaning and fixing going on the whole time we were there. So be gentle on those walls, kids! There were a lot of hard working people there trying to get your room guest ready. Now that the room was full of stuff, this is where the wheels started to come off. The R.A. rooms in this dorm are very small. I was kind of hoping they were the same size as a regular room, only a lot more roomy since there was only one bed in the room instead of two. But no. These rooms are SMALL. I would say maybe 2/3’s the size of a regular room, with one bed, chests of drawers, a desk, and chair. It was pretty cramped in there trying to unpack. We finally figured out we could leave stuff out in the hall and bring in one thing at a time since no one else was moving in that day. While we could have done everything faster had my husband been there with us, it turns out that it was probably good that he wasn’t there initially. He is very tall and has the wingspan of a condor. 🙂 Once he did get there and all three of us were in the room with boxes it got a little close in there. We also quickly realized we had way too much stuff for this small room. Last year my daughter lived in a different dorm which was more of an apartment type setting. It had a living room, a small kitchen area, a private bathroom and two bedrooms. Much of the stuff we had for this arrangement would not work for this year. My daughter is back in the dorm she lived in her freshman year and no longer has a private bathroom. So all the bath stuff we had last year wasn’t needed this year, like the bathmat, toilet brush, and towel shelf. Her closet is smaller this year, as well. Last year she had a genuine closet, complete with sliding doors. This year she was back to the standard issue dorm closet, which is basically an alcove right when you walk in. So too many clothes for that little space. She also had two TVs, one they used in the living room last year, and a smaller one she had in her bedroom. She only needed one TV this year so we had to bring the other one home, along with four moving boxes of things she didn’t need or couldn’t fit in her room this year. Her bed last year was a full-size mattress, and her bed freshman year and this year is a twin XL. We brought the mattress pad, sheets, and comforter from freshman year back with us this year to reuse, and had to bring home the larger bedding set from last year. So switching from one type of room arrangement to another caused us some space problems. And in that little room this year we had to go through boxes to see what she could or wanted to keep and what was no longer needed. While it felt like we were quick as bunnies last year with sophomore move-in, this year took WAAAY too long, along the lines of freshman year. Like eight hours long. That just seems like way too much time to set up a small living space. It was frustrating because we did so well last year. If you are a returning student, look into storing most of your stuff during the summer in a storage unit in town where you go to school. If you need to buy appliances or large items, investigate purchasing them in town once you arrive rather than hauling them with you. Pack a fan and cleaning supplies so that you can get to them first thing. A fan will really keep you from overheating in the room and you may want to give everything a good wipe-down before you move your stuff in. Divide and conquer. We tried to take turns hauling and unpacking. 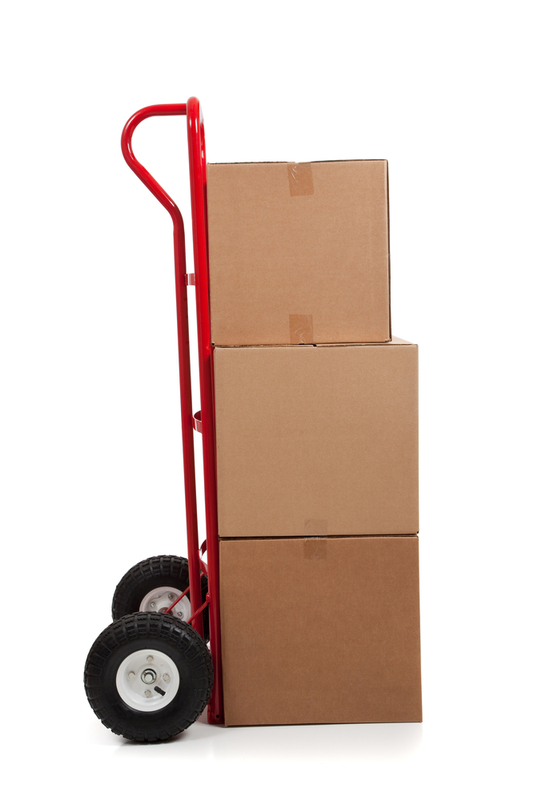 We’d haul some stuff up, then one person would work on unpacking that while the other person went for another load. Stay hydrated. Move-in days are usually in August and it’s hot most places this time of year. We were positively chilly this year because it was only 90 degrees. 🙂 Freshman year it was 109 degrees on move-in day. It’s easy to overheat so do what you can to stay cool and take breaks. Be as ruthless as you can when editing what you do and don’t need in your dorm room. Those rooms can get overcrowded quickly with stuff. 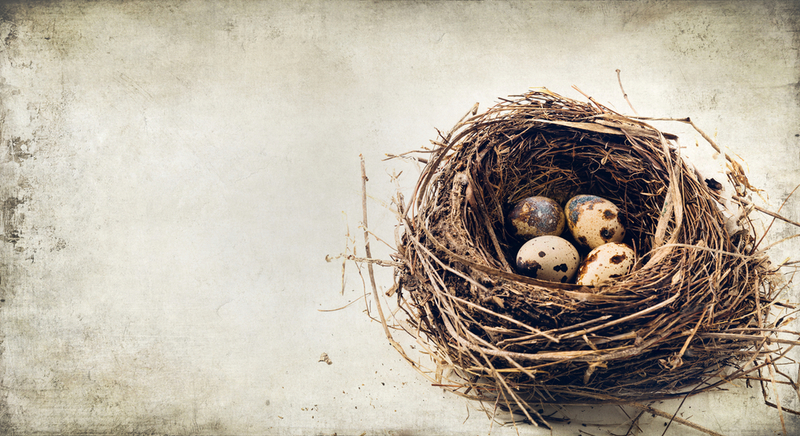 You need some “white space” so be intentional with what you decide to keep. What about you? 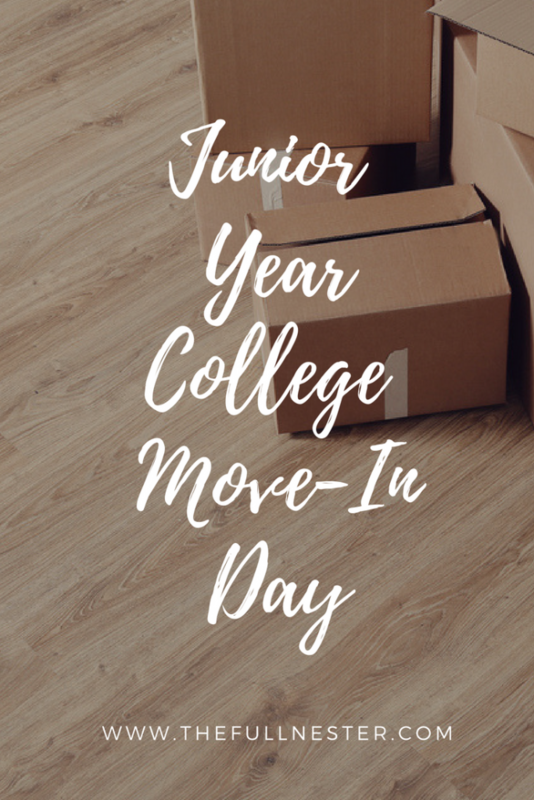 Have you or are you getting ready to experience college move-in day? Feel free to share any tips you have!